It's the end of the month and Craftsy is throwing a SALE-ebration fit for crafters of all skill levels. 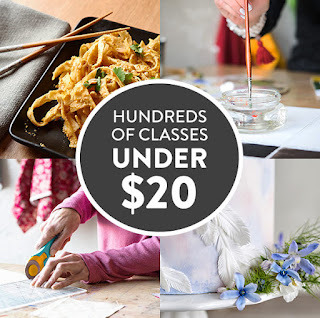 Beat those winter blues and restock your supplies or sign up for a new class! Disclosure: This post contains affiliate links. If you click on one and make a purchase, I may receive a few pennies to help maintain this blog.